As we reviewed in the last article, the mystery of Mystery Babylon begins with the fact it is both an image and a symbol – an image of a woman… while the woman is a symbol of a city. As we previously covered, John writes that the woman constitutes a harlot or whore. She stands guilty of apostasy. Through her fornication with the kings of the earth, she has fallen from her vows of fidelity. She greatly contrasts with the New Jerusalem (Rev. 3:12) that is chaste, pure, and true to her vows to the LORD God of Heaven. We also argued that, while the two beasts are also images and symbols, they clearly come to represent human beings in other sections of Revelation. All the images are personified – meaning that despite their presentation as symbols, they are also implied personages. To personify is to “represent (a quality or concept) by a figure in human form” (Oxford). In the case of the two beasts, the beast from the sea and the beast from the land, they are personified beastly symbols that are also intended to represent incarnated persons sometime in the future. In the case of the Woman, Mystery Babylon, John the Revelator presents her as a personified image or symbol of a city. But not just any city. For the city itself encompasses a colossal figure with global significance. She truly is a mystery. To commence a deeper analysis, we can rightly conclude the city personifies evil – devised and carried out by human society, institutions, and persons acting as conspirators against the LORD God. For those that seek to take the Bible “literally,” a symbol of another symbol poses a challenge. On the surface, it seems to conflict with our revered evangelical method of hermeneutics – which means our method for interpreting the Bible. We believe biblical interpretation of the Bible rests upon the full, plenary inspiration of the Bible. However, objecting to the fact that “a symbol is sometimes just a symbol” seems not to follow from our hermeneutic. Oftentimes conservative scholars define our methodology of interpretation as the “historical grammatical” method. It is popularly – and clumsily – known as literalism. This label seeks to assert that the Bible tells of true history and conveys its truth in language which needs no allegorical or “spiritualized” meaning. The historical grammatical method conveys that the Bible says what it means and means what it says. However, what are we to do with images and symbols? Doesn’t the Bible extensively use images and symbols? Indeed it does. The Book of Revelation would only be one or two chapters in length if we extracted all its symbols and images. Like the Book of Daniel, the book is composed of visions with images and figures that stand for historical (or future) realities. In Daniel, as in Revelation, there are animals and monstrous beasts that reference empires and their leaders who oppress and destroy. The “little horn” of Daniel, chapter 8, is the “wonderful destroyer.” The impact of these figures becomes reality, and horrendously real at that. Another factor in our approach to interpreting the Bible consists in understanding what the author meant to say. At first hearing, this concept sounds like we must read the mind of the author to know what he wrote. To interpret the Bible, a plain reading won’t do. We can only understand it if we are guided by the Spirit. However, if we consider the context and the usual clear meaning of the text, the author’s mind can be plumbed; in most cases quite easily. There is a doctrine called the perspicuity of the scripture. This doctrine teaches that God presents His truth in the Bible so it can be understood. We do not need a priest or a soothsayer. No, while we certainly need to have spiritual discernment to accept the truth (1 Cor. 2:14), for the willing mind, the truth remains crystal clear. If God is constant and His Word interprets itself, the corollary principle is that the Bible’s interpretation of its symbols is consistent. This must be true! If the Bible gave us two contradictory interpretations of a symbol, how could we ever feel confident that we understood its meaning? This corollary underscores 2 Peter 1:19, where the apostle informs us that “the prophetic word [is] more sure” than even eyewitness accounts! We can have confidence in our understanding of the prophecies and parables if the symbols we interpret match what we understand in other areas of Scripture. Otherwise, we could never be sure! This means that every symbol from Genesis to Revelation is consistent in its interpretation. If a rose means something in one part of the Bible, it will mean the same elsewhere, though the context may modify it slightly. If God is consistent, His Word—His revelation of Himself to us—must also, therefore, be consistent. Thus, we must look harder at the text and see what actually constitutes the author’s intention and how other scripture assists in explaining a given passage. Scriptural inspiration brings these points together for it is the Spirit who has overseen the creation of the Bible. (2 Tim. 3:16) In the case of the Book of Revelation, what the author wrote is also what the Spirit of God intended for John to express as it has been recorded through his visions and words. The Spirit worked in conjunction with the mind of John to ensure the truth was put down for our edification. Sometimes a symbol is just a symbol. This will be a key reason this author rejects the belief that the historical city of Babylon lying on the Euphrates River, will be the capital of a future empire of the Antichrist. Unlike other noted and appreciated biblical scholars (Joel Rosenberg and Chuck Missler to name but two), Mystery Babylon’s fulfillment does not necessarily include it having become the next New York City or Rome. I argue that genuine and esteemed evangelical scholars make this mistake in the name of upholding the evangelical hermeneutic, too easily misguided by thinking of it as “literalism.” Believing that the Bible must be taken literally, the symbol of the woman standing as a figure for Babylon, the possibility that one symbol references another symbol is implicitly rejected. That is, these wonderful teachers mistakenly believe only the historic and physical Babylon, where the great Euphrates river flowed, can fulfill this prophecy. In constant, my thesis asserts that the woman of Revelation 17 and 18 – first and foremost – represents a great megalopolis comprising a relevant symbol of judgment for every era of history. Therefore, the city is not just one solitary city standing out among all others at the very end of the Great Tribulation. It is much more than that. While I believe that there will be two great future cities that will be destroyed in the last days (one by Antichrist appearing in chapter 17 and one destroyed by Yahweh presented in chapter 18 – two dramatic destructions separated by several years), the prophetic import of the symbol transcends these climatic events. The symbol of Mystery Babylon signifies the judgment of God upon all great empires built by humanity throughout time. This passage conveys a warning to the Church throughout the Church Age. This symbol exists applicable to all eras of history, despite the fact that it will, in the future, spell doom for the final Babylons which fall in the last days. Thus, Mystery Babylon depicts the nature of human government in every generation. It is not just a prophecy for the last days. To be more specific, we must see the woman and the city she represents as a conceptual reality that surpasses particular examples (like Mecca, Jerusalem, Rome, or New York). This woman can represent any or all of these cities at one time or another, but she can also represent a land or nation that “hosts” these cities, such as the ancient empires of Egypt, Babylon, Phoenicia (aka Tyre and Sidon in Canaan), Rome, Islam, Byzantium; or more modern empires, such as the British Empire or, I would argue, the empire of the United States. Each of these cities, nations, or empires can incarnate the symbol (or instantiate – “represent as or by an instance” – Oxford) in different ages and times. Oftentimes, the empires are identified by referring to the name of their principal city, such as Rome or Babylon, or the key cities of Canaan – Tyre and Sidon (Zidon). When Martin Luther saw the Catholic Church of his day as Mystery Babylon and the Pope as the Antichrist, he was not wrong to surmise this. Rome was Mystery Babylon in his day. We might claim that he failed to heed our avowed evangelical hermeneutic of grammatical historical literalism… that he “spiritualized” the meaning of Mystery Babylon. But we would be wrong. Mystery Babylon is more than one and only one nation or city that stands out at the end of this age. It constitutes a symbol that applies to all instances in which a specific nation becomes a mighty empire. As we will see, all empires possess the attributes of Mystery Babylon. And they can be understood if divided into three parts. There have been many Babylons and many Antichrists in this world. When Douglas Krieger, Dene McGriff and I chose the name for our popular book, The Final Babylon (speaking to the sins and abominations we see in America today), this was at the root of our naming the book. In other words, there have been many Mystery Babylons. Consequently, if the Lord returns in this generation, we believe it means that America is at least one of the final Babylons. Furthermore, if we believe the Lord is to return soon, there will be no time for another empire (Anglo-American), nation (United States), or city (New York City and/or Washington) to become Mystery Babylon, to ascend to hegemonic power equivalent or exceeding the United States. It takes generations to coalesce an empire composed of economic, political/military, and religious power. 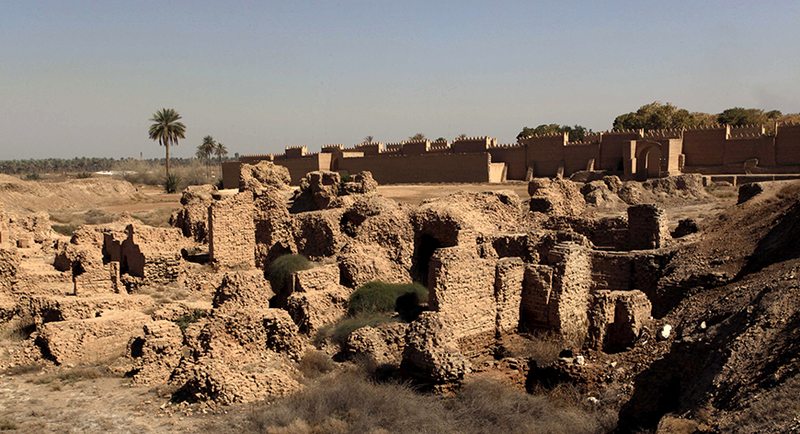 Building a historical monument is one thing (which is what the rebuilt city of Babylon in Iraq is today). Building a world dominating empire is quite another. To assert that a rebuilt Babylon must be Mystery Babylon, is to assert that the Lord’s return remains far into the future. 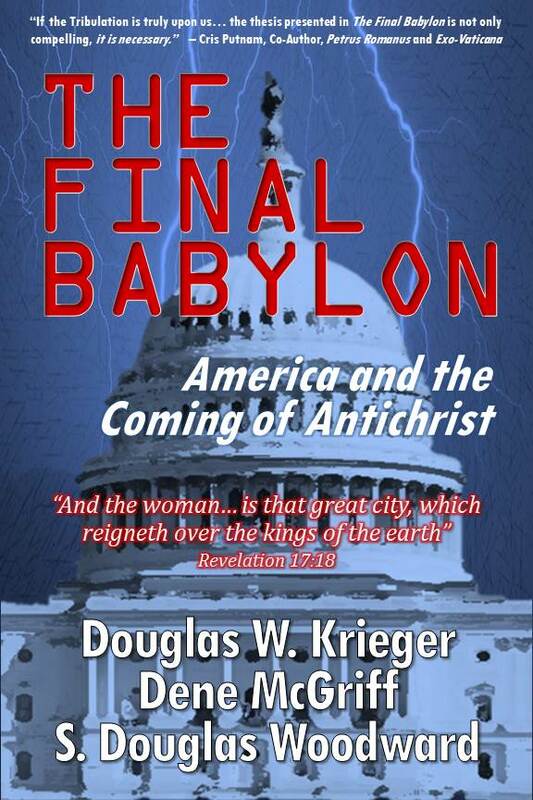 To underscore this point, Mystery Babylon comprises any empire of its era which brings together political/military, economic, and religious power forming an evil amalgamation. As I have argued elsewhere and will touch on from time to time in the upcoming articles, neither Mecca nor Rome nor Moscow consist of the hegemonic power in all three of these aspects. They may have some semblance of each of these three. But only the most dominating global power can qualify as the power base of Antichrist. Today, the Anglo-American empire alone possesses all three such that it dominates the entire globe. Some will object that the United States does not have a religion that undergirds the empire – that there is a religious Babylon, and it must be Rome or Mecca. The late Dave Hunt presented a strong case that the Catholic Church comprises Mystery Babylon in his 1994 book, The Woman Rides the Beast. Why would Protestant scholars argue (in the spirit of Martin Luther) that Roman Catholicism is Mystery Babylon? For many reasons, but principally because of its religious rituals, its icons, its veneration of Mary, and its insistence that the Priest serves as a mediator instead of Christ. The argument is appealing to Evangelicals. However, “Rome” is not necessarily the most universal of religions even though it may qualify as one key aspect of Mystery Babylon. The basis for arguing Rome qualifies as Mystery Babylon is to pose there are two Babylons – there is Rome the religion and then there is “Rome” the political center of the world. “Religious Babylon” is distinguished from its political/military economic alter-ego. Such separation, such distinction, fails to plumb the depths of the universal symbol of Mystery Babylon. The coming of Mystery Babylon into empirical reality finds fulfillment in humanity’s empires – all of them – because they are all domineering human constructions (like the image of gold in Nebuchadnezzar’s dream). All such empires display great power. As they develop and mature, instead of becoming “fine wine,” they rot. Except for the privileged elite, powerful empires destroy freedom for their people. Plus, they trample on the biblical principles of God’s law and the primacy for worshipping Yahweh only instead of mammon. Only when the stone made without hands (Jesus Christ) crushes all the other empires and becomes the mountain that establishes the Kingdom of God, will our world enjoy an empire that brings peace, freedom, justice, and love. Thus, when we see any empire taking on the role of the Woman riding the beast, we can rightly see it as an instance of Mystery Babylon. That is the power of the symbol. It does reflect literal cities, nations, and empires. But it remains a transcendent city that symbolizes opposition to God. Just as the “city which Abraham sought” was only partially fulfilled by settling in the Promised Land, the “better city” he sought will be fully fulfilled when the New Jerusalem comes down from heaven as the final dwelling place of Christ and His Saints. What Do We Mean by Empire? An empire is a collection of social powers devised and developed by humanity. These powerful realities that dominate societies are labeled economic, political/military, and religious. As we consider each of the empires listed earlier, whether ancient or modern, we readily see that each of these empires possessed all of these qualities. In one case or another, their power was more pronounced in governing power (ruling monarchies or political laws enforced by military power in order to rule); or in their economic power (ancient empires generally created wealth through various mechanisms). The less sophisticated forcibly demanded tribute or taxes from conquered peoples or its own citizens, while the more sophisticated empires learned how to employ financial capital to generate commerce. Their leaders employed military might primarily to make the world “safe for its mercantilism.” When we think of raw power, we may think in terms of Babylon, Media-Persia, Greece, and Rome. When we think of economic power, we are likely to identify ancient Phoenicia and the Anglo-American empires of England and America. 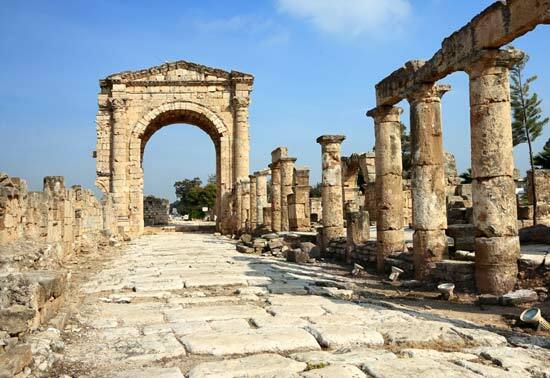 Scholars identify Phoenicia as the empire based in Tyre and Sidon (which stood out as the principal cities of Canaan). Interestingly, the name Canaan actually means merchant. As we will study in later articles, the prince of Tyre is associated with mercantilism. In a number of ways, the Phoenicians were the forebears to modern capitalist empires such as Britain and the United States. Both have used powerful navies and more recently air power, to protect their economic enterprises. We often assert today (and rightly so), we fight wars to protect commerce and the creation of wealth. The recent wars in the Middle East were to protect the flow of oil and the economies of western nations that rely upon it. Americans may assert our military fights to “make the world safe for democracy,” that is, to fight for freedom and rule of law. This is the doctrine of American Exceptionalism. While it is true that the original republican ideals as set forth in the Declaration of Independence and the U.S. Constitution have much to be revered, this assertion serves only as a thin veneer covering the real truth. What happens after our wars argues otherwise. Counter-insurgencies suggest we don’t bring the type of freedom the victims of war want. Corruption may have existed before the war. But after the war, corruption generally gets worse. For these reasons, we must consider Mystery Babylon symbolically as “one city in three parts.” Its political/military, economic, and religious aspects are conjoined. Even religion is not truly distinct from political and economic power, for “the Woman rides the scarlet colored beast.” The color scarlet in this instance does not reflect the harlot, for the harlot is the woman. The scarlet color of the beast is an assertion of the beast’s political might. We recall that kings wear purple or scarlet as a symbol of their power. This tradition no doubt began in Tyre, one of the most ancient of empires, from which the purple dye originated from a unique species of snails living in an adjacent area of the Mediterranean Sea. Note the place or purpose of religion: without the Woman supplying direction to the beast and driving it toward its destination, the beast grows confused and runs wild. Symbolically, this means without the Woman, order gives way to anarchy. Religion provides a “higher law” to secure the law of the land. Thus, religion holds empires together. It often suppresses the people in the name of the empire’s religion. As Marx said, religion is the opiate of the people. It “keeps them in line.” True religion directs us to worship the LORD God of Heaven. But human emperors abuse it to force the masses to worship of the State. We remember that Christianity overcame Rome’s form of government and religion, which was embodied in its Caesar. The Caesar was not only the administrative/executive head of the government, superior to the Senate, he was also “Pontifex Maximus,” the Great Priest. 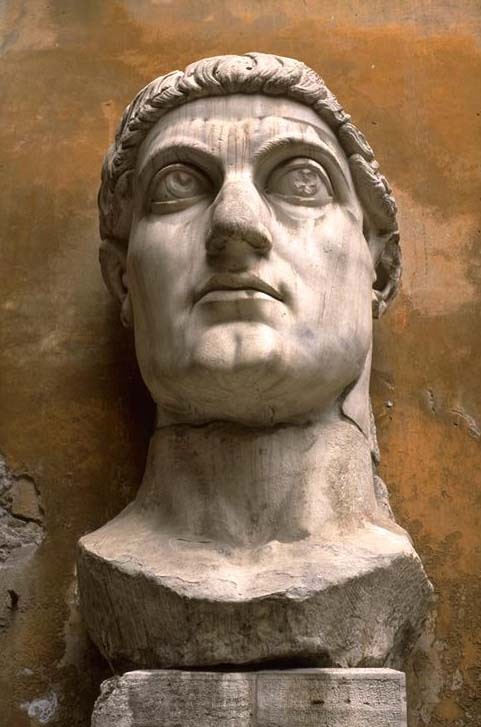 However, Rome would be doomed when a new religion took hold in its provinces and its cities after its Caesar Constantine converted to Christianity in 312 A.D. Constantine hoped that this new religion would bring the empire together as a unifying principle; hence his calling the first council at Nicaea in 325 A.D (to settle the question of the divinity of Christ which was divisive to the Church). Christianity challenged emperor worship and was mingled with old pagan religious rituals and practices. (This is why Roman Catholicism continues with much of its pomp and popery). Theodosius declared the Christian religion the State religion circa 380 A.D. However, Christianity would not replace emperor worship as the glue to hold the western empire together. In only ten years, Rome was sacked by the Gauls (in 390 A.D., the first attack of the Barbarians). However, in the east, Byzantium (Constantinople, today’s Istanbul) the eastern church would resist the Barbarians (and later, the Muslims) persisting for until 1453 when the Ottoman Empire took the city. Geography, riches, demographics, and the high walls of Constantinople protected Byzantium much more than any unique aspects in its “orthodox” Christian religion. With Queen Elizabeth I, Britain’s Empire built its religious power primarily on Anglican tenets resulting from Henry VIII’s battle for supremacy in the West. England, more than Europe, would dominate the Western world, including America. England’s brand of Christianity, which became an essential underpinning to its political, military, and economic power, put forth the belief that it was the New Jerusalem. Its King was the Prince of Jerusalem – but not the Holy City in Judea; rather the New Jerusalem in England. William Blake’s poem from his Milton became the popular English hymn, Jerusalem (made famous in America as the closing anthem of Chariots of Fire). The lyrics put to music a mythical visit to England by a young Jesus accompanied by Joseph of Arimathea, specifically to Glastonbury, giving sanction to a future Great Britain. Note: it is named Jerusalem, a city symbolizing a nation and an empire. The hymn provides a perfect illustration of government relying upon the aegis of religion to undergird its agenda and help justify its course of action. While British Anglo-Israelism may have resulted from these legends, the concept of divine right of Kings was manifested in England in such a hearty fashion that the English assumed their empire was justified as if an imprimatur had been given them by Yahweh Himself. We should not think just of the image of Europa riding Zeus who took the form of a beast when seducing Europa. This has led most of today’s scholars to link Europe with the woman, meaning Europe will be the power base of the Antichrist. That restricts the power of the symbol. While the myth and many statutes and paintings illustrate the woman’s wild ride, Babylon is more than Europe and it is more than the Roman Church. Arguing that a revived Rome will become the power base for the Antichrist (built on the European Union and the Catholic Church), ignores the political/military and economic hegemony of the United States and the formidable military power of the Russian Federation. Neither the Europe Union (much less the Roman Church) has any military power to speak of today other than NATO (primarily funded and staffed by the United States). Nor can we determine that Mecca is Mystery Babylon because it lies at the center of a religion often hostile to Christianity (especially in the biblical lands of the Middle East). Nor does the fact that the nations of Islam have economic power despite their vast reserves of oil. While there are extensive arguments, such as friend Joel Richardson who holds that Mecca and Islam comprise Mystery Babylon, his argument rests on a number of assumptions that fail scriptural scrutiny. There are many reasons I argue that the Islamic Antichrist is not the ultimate fulfillment of the beast. 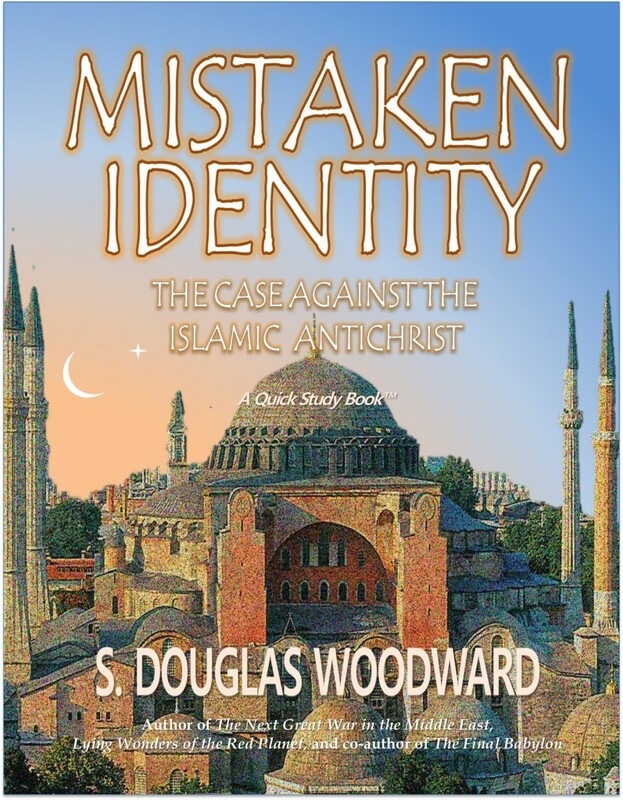 I take these up in my brief book, Mistaken Identity: The Case Against the Islamic Antichrist. However, my argument begins with the fact that any humanly constructed empire includes political/military, economic, and religious power. Mecca can and does instantiate Mystery Babylon from a religious aspect. But saying it constitutes the primary Mystery Babylon of our day ignores the most powerful nation-states in our world. This view profoundly limits the meaning of the symbol of the harlot in the Book of Revelation. However, this matter deserves more elaboration and therefore, will be considered further in future articles appearing on my website, doomsdaydoug.com. Many evangelical teachers who are Pre-Tribulational in their eschatology, such as Hal Lindsey and Grant Jeffrey, have argued that the rapture of the Church will decimate America and lead to its downfall. This presumes, not only the pretribulational view but that America is composed of most Christians in the world since America appears to be the nation hit hardest by this supernatural event. This view may be wishful thinking. Tyrian purple is also known as Phoenician Purple. It is derived from a rock snail, the muricidea, which produces a scarlet and purple dye. It was produced from 1600 B.C. until the fall of Constantinople in 1453. It supplied royal purple for 3,000 years. “The Eastern Empire was successfully able to keep barbarians from its frontiers through tact and diplomacy. It paid off its barbarian rivals with the enormous wealth of its Syrian and Egyptian provinces. The Eastern Empire also survived because migrations were focused on the Western provinces and that since the Huns shared a border with the Empire to the north along the Danube and because the stronger Gepids overtook the Huns and seized a large portion of the region with the various Slavic peoples a massive barbarian incursion could be prevented. That said, Constantinople’s walls are a good reason. It is said that Attila the Hun was forced out of Constantinople’s environs by just seeing the huge defenses built around the great city.” (P. Kandarpa, see https://www.quora.com/Why-did-the-Eastern-Roman-Empire-outlive-the-Western). Glastonbury itself is home to numerous pagan myths. “Glastonbury has been described as a New Age community which attracts people with New Age and Neo-pagan beliefs, and is notable for myths and legends often related to Glastonbury Tor, concerning Joseph of Arimathea, the Holy Grail and King Arthur. Joseph is said to have arrived in Glastonbury and stuck his staff into the ground when it flowered miraculously into the Glastonbury Thorn. The presence of a landscape zodiac around the town has been suggested but no evidence has been discovered. The Glastonbury Festival, held in the nearby village of Pilton, takes its name from the town.” See https://en.wikipedia.org/wiki/Glastonbury. See Wikipedia. “British Israelism (also called Anglo-Israelism) is a movement which holds the view that the people of England (or more broadly, the people of United Kingdom) are “genetically, racially, and linguistically the direct descendants” of the Ten Lost Tribes of ancient Israel. With roots in the 16th century, British Israelism was inspired by several 19th-century English writings, notably John Wilson’s 1840 Our Israelitish Origin. The movement never had a head organization or a centralized structure. Various British Israelite organizations were set up throughout the British Empire as well as in America from the 1870s; a number of these organizations are still active today. In America, its ideas gave rise to the Christian Identity movement.” See https://en.wikipedia.org/wiki/British_Israelism.